TIP: Canopy by Hilton Zagreb is the second Canopy in Europe, and we are very proud of it. At the Canopy, you experience rooms with local textiles and artwork inspired by Croatia’s national emblem. 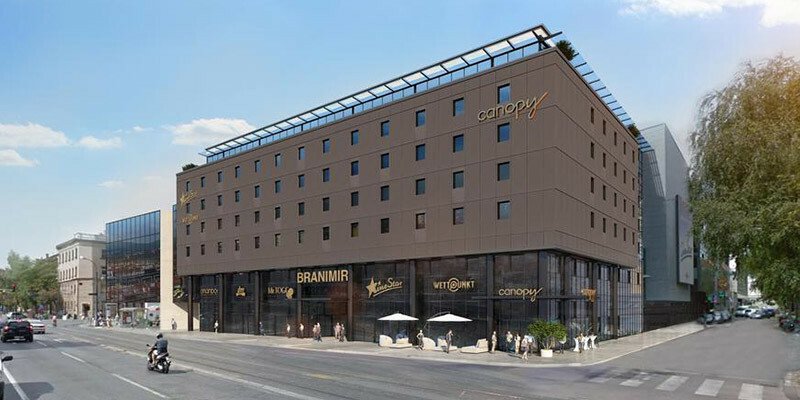 Canopy by Hilton Zagreb is located in the heart of Zagreb, in Branimir complex. Just a few steps from Zagreb Train Station and Zagreb Top Attractions. Hilton made Canopy their Lifestyle brand with a local feel and thus I see every Canopy unique. 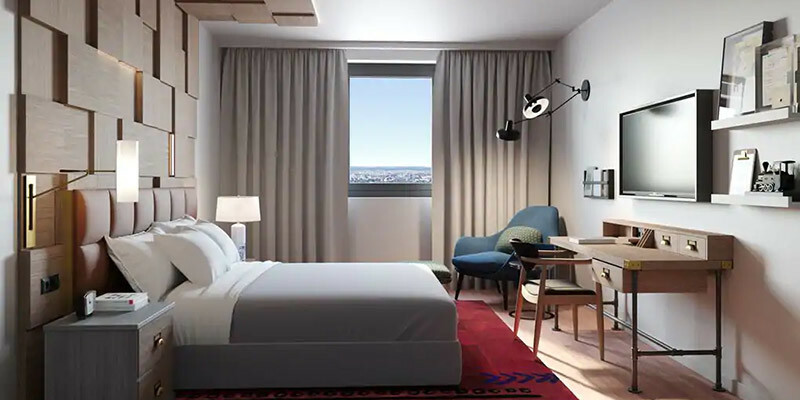 Their Zagreb hotel is inspired by Zagreb industrial past and its rooms offer the Just-Right feel with their modern design. 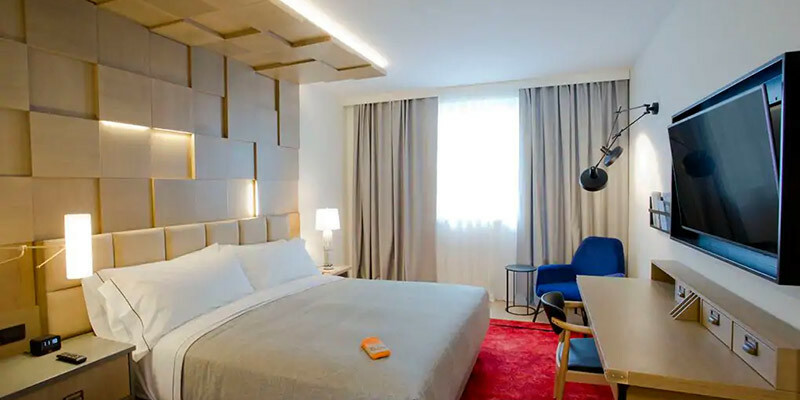 Every room is air-conditioned, with a refrigerated drawer, 49-inch flat-screen satellite TV, Nespresso® machine and convenient international plugs. Canopy by Hilton Zagreb is recommended for Business Travellers, Families and Couples. With its modern design and excellent location, I can surely recommend Canopy to everyone. It offers all you need for a great Zagreb stay, modern design, premium location, kid-friendly menus and rooms, business traveller amenities and last but not least, it is simply joyful. Take advantage and pick up one of their free Canopy bikes and explore the city. The hotel features an amazing Canopy Central Café and Bar near the reception. 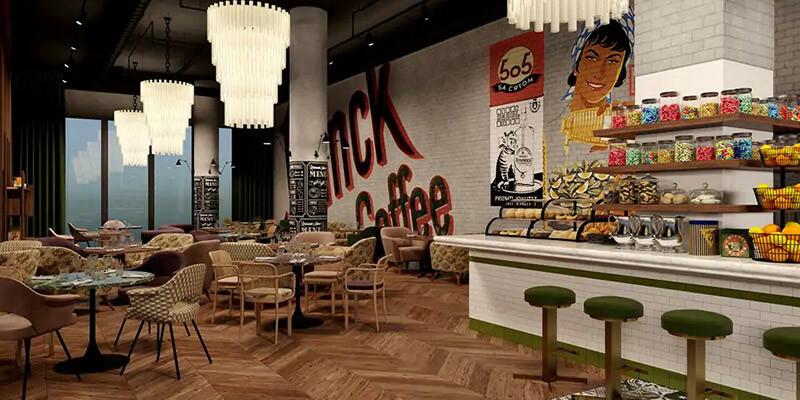 Start your day with newspapers, coffee, and authentic cuisine with fresh local ingredients. The ReUnion Restaurant offers the Mediterranean and Continental cuisine made by fresh local ingredients from the Dolac market. Rich Buffet Breakfast is served at the restaurant from 6:30 AM till 10:00 AM, so you have plenty of time to rest. During Weekends breakfast is served from 7 AM till 11 AM. What is close by to Canopy by Hilton Zagreb? Just around the corner, you will find, the amazing Typhlological Museum. I recommend it if you have the time. You will get to See in a different way. Zagreb should be explored on foot and I recommend starting through Tomislav square, Strossmayer Park and Zrinjevac park till you reach Zagreb ban Jelačić Square. You can also take a short 10-minute detour and explore the Botanical Gardens and the Croatian State Archives. There is public parking available around the hotel, but I recommend their Hotel Garage. Parking is 15 EUR per day.